GREEN BAY — The winds of change continue to howl through the Green Bay Packers’ coaching staff. Longtime offensive line coach James Campen, whose 15-year tenure on the Packers’ staff tied him for the longest of any assistant coach in club history, left Sunday to become the Cleveland Browns’ associate head coach/offensive line coach, ESPN.com reported. Campen interviewed on Saturday with the Browns, who also reportedly hired Todd Monken as their offensive coordinator Sunday. Monken was one of the 10 candidates the Packers interviewed for their head-coaching position, which went to Matt LaFleur last week. LaFleur interviewed Monken for the offensive coordinator position in Green Bay late last week, and Monken had been drawing interest from other teams as well. He was the Tampa Bay Buccaneers’ offensive coordinator last year but became available when the Bucs fired head coach Dirk Koetter and his staff after the season. LaFleur has also interviewed ex-Jacksonville Jaguars offensive coordinator Nathaniel Hackett for the job, but it’s unclear whether there are other candidates. Campen, 54, was promoted to offensive run-game coordinator in addition to his offensive line duties last offseason by ex-Packers head coach Mike McCarthy, who was fired on Dec. 2 with four games left in his 13th season as the head coach. 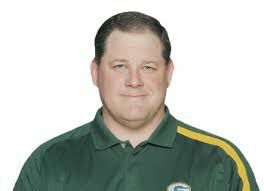 Campen, who played center for the Packers from 1989 through 1993, joined the coaching staff in 2004 under then-head coach Mike Sherman as the team’s assistant offensive line coach. When McCarthy took over for Sherman in 2006, he kept Campen and offensive line coach Joe Philbin, despite not knowing either of them well. The decision worked out for McCarthy, who then promoted Philbin to offensive coordinator and Campen to offensive line coach in 2007. Philbin helped the offense to two of its highest-scoring seasons in team history, and Campen developed a host of middle-round draft picks into Pro Bowl-level players. Since 2010, the Packers have had six different offensive linemen selected to the Pro Bowl — making Campen the only line coach over that time to send that many different players to the league’s annual all-star game. From guards Josh Sitton (fourth round, 2008) and T.J. Lang (fourth round, 2009) to left tackle David Bakhtiari (fourth round, 2013) and center Corey Linsley (fifth round, 2014), the Packers consistently developed mid-round picks into starters. Campen was under contract for the 2019 season, meaning the Packers and LaFleur could have kept him in Green Bay had they wanted to. During the McCarthy era, the Packers consistently blocked assistant coaches from leaving for other jobs if they were still under contract. Instead, LaFleur and the Packers allowed Campen to interview with the Browns, in part because, according to sources, the team is looking to have a clean break from assistant coaches with deep ties to McCarthy. Joe Whitt, who coached cornerbacks and was the team’s defensive passing-game coordinator last season, was fired Friday evening after 11 years with the team. Philbin, who served as the team’s interim head coach following McCarthy’s dismissal, has been allowed to seek jobs elsewhere and is expected to not return. The Packers moved on from special teams coordinator Ron Zook and wide receivers coach David Raih last week, with Raih reportedly landing a job with the Arizona Cardinals to coach wide receivers under new coach Kliff Kingsbury. So far, the only staff move the team has announced was the news that defensive coordinator Mike Pettine, who was hired by McCarthy last year and just finished his first year in charge of the Packers’ defense, was returning under LaFleur.